We look forward to working with you in our showroom to create beautiful custom stationery for any and all of life's occasions. However, we understand that sometimes this may not be the most convenient or preferred way to shop. Below you will find links to our partners' websites that will allow you to shop from the comfort of your home. You can shop everything from Save The Dates, Wedding Invitations, Holiday Cards, Favors & Gifts, Photo Cards, and much more. This page contains affiliate links and we will be compensated if you make a purchase after clicking on the links. 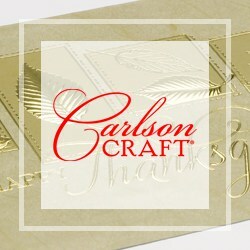 Carlson Craft provides beautiful stationery and accessories for celebrating all of life's events. From wedding invitations to custom napkins, find the perfect finishing touches for your special events. 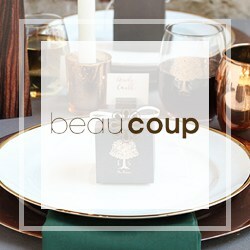 beau-coup is an online collection of everything you need to celebrate special the moments in your life, including wedding favors, baby shower supplies, decorations, and gifts for every occasion. 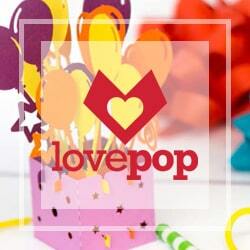 Lovepop 3D pop up cards are expertly designed and engineered to make the perfect statement for all occasions. 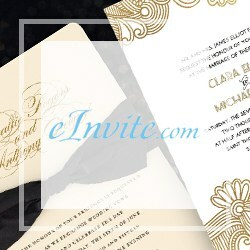 eInvite offers unique and creative invitations for all occasions, from weddings to bar & bat mitzvahs, birthday parties and corporate galas. They also offer accessories for your special event. minted sources creative content from a global community of independent artists, then sells the best community voted content in the form of art, home decor, and stationery, directly to consumers. 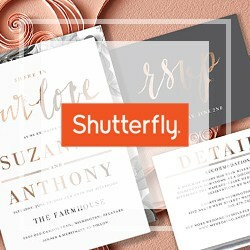 Shutterfly is a premier source for personalized photo products, offering a wide variety of wedding invitations and announcements, holiday cards, photo books, thank you cards, and more. 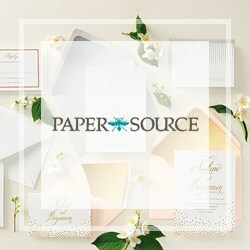 Paper Source loves to inspire customers to Do Something Creative Every Day, from designing custom invitations to creating beautiful packages with their gift wraps, gift tags, labels, and ribbons. 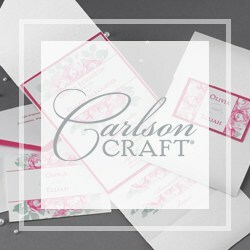 Carlson Craft provides beautiful stationery and accessories to brighten up the season. From personalized holiday cards to custom holiday napkins, find the perfect touch to top off your event. 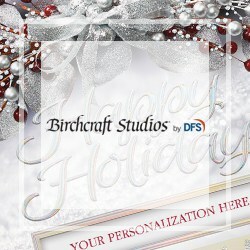 Birchcraft Studios offers personalized cards for all occasions, including holiday, birthday, anniversary, congratulations and more.